The chances of Angela Merkel softening her approach to Brexit have dramatically dropped, according to one analyst. 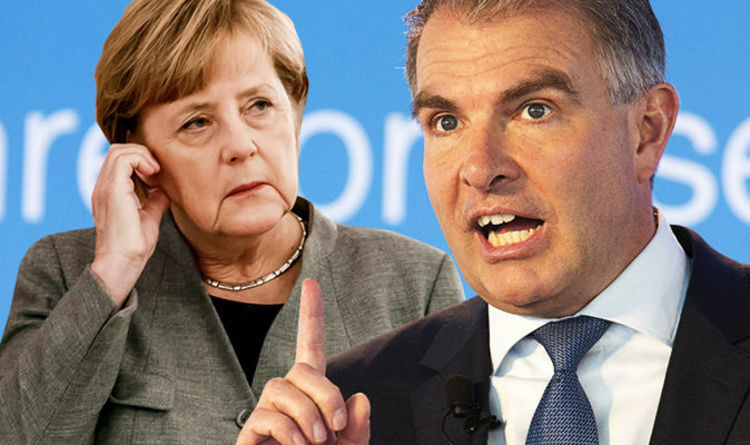 Ryan Heath, who reports for Politco EU, pointed to the severe comments from the Lufthansa chief executive this week, who seemed to encourage an extreme punishment on the UK. Carsten Spohr, the boss of German carrier Lufthansa, appeared to give his backing to Ryanair's potential flight grounding threat to change Britain's mind on Brexit. Mr Spohr said "In theory, if we could use this industry to prove to the British how wrong the decision was, that might be a good thing." The EU has recently hardened its approach to Brexit, particularly on trade, amid fears over the threat of a punishment Brexit. Heath told the BBC's Week in Westminister that the Luftahnsa boss was in effect telling the EU to "let the British hang" over their referendum decision. Heath explained: "Merkel matters but the question is who does Merkel listen to? And what industries matter to her? "Look at the language the Lufthansa CEO used this week in regards to aviation. "It was pretty close to language that in effect said ‘Let them hang,' that maybe British need to suffer a hard Brexit to know they made a mistake. "The German can industry will be affected, of course, but the people who buy BMWs can likely afford a 10% price hike. "Merkel isn’t going to move just because May is her friend."